Business Strategist and Certified Life Coach. Mindy Crary | Business Strategist & Certified Life Coach – I help people get super real about what it is going to take to reach their financial goals, either personally or through their businesses. Even successful people struggle; financial success is a process. Get right with your money. Mindy Crary | Money Maven, Business Strategist & Certified Life Coach – I help people get super real about what it is going to take to reach their financial goals, either personally or through their businesses. Even successful people struggle; financial success is a process. Get right with your money. I help people get super real about what it is going to take to reach their financial goals, either personally or through their businesses. To get better at their money, people need to learn to treat their money with respect. They need to understand what they need specifically for financial success, versus some cookie cutter B.S. – instead of some butterfly positivity saying everything is going to be all right. And yeah, I DO believe that you’re going to be okay…but you need to approach with that intention. To be successful with money, people need skill building and the actual real brass tacks so you can move forward confidently in being the financial engine for your family and/or your business. Even successful people struggle; financial success is a process. I work with people to feel confident no matter what the current situation is, and have peace of mind that they can navigate the waves, swells and tsunamis of their financial lives. Personal finance expert and 20-year veteran. Owns a successful financial planning practice (Creative Money). Built and sold two businesses prior to Creative Money. Certified life coach and business strategist. Trained to serve as corporate board of director. (Even though my business isn’t about this) I am really good at getting into the mind of the client and reframing marketing in that context. Even successful people struggle; financial success is a process. Mindy Crary is a business strategist, business consultant, life coach and money coach that wants you to feel confident no matter what the current financial situation is. Helping people get super real about what it takes to reach their financial goals. 1) Make you money consistently. 2) Expand the operation for you. This the slow and easy monthly money coaching to remind you of what’s important in your life, to help you shift your mindset and make steady, PRACTICAL progress throughout the year not only with wealth building, but also a better overall relationship with money. A 4-week intensive where you can boot-camp your cash flow and money situation – because this hyper focus can set you up for the next 6-12 months of super saving success. This is for people who want to take a higher-level strategic view – who can take what we discuss and implement on their own. Sometimes this is the person who simply wants to pick my brain; other times this is a client who needs a check in, months after we wrapped up our scope. Mindy has been instrumental in getting my family and business finances on track. She’s so good I asked her to be a member of our company advisory board. She is a great coach., excellent advisor, and the only person I refer my clients to when they ask for help regarding their money. "Mindy is a breath of fresh air. not simply a 'walking in the park on a spring day noticing the pleasant scent of flowers' breath of fresh air; but a 'been holding my breath until i turn blue eyes-squeezed-shut fingers-in-my-ears afraid-to-know but suddenly i can breathe again' breath of fresh air. She gets to know you as a person for a customized approach. She works on all levels, from process improvement to nitty-gritty numbers. she laughs and brings a smile to a stressful topic. and she truly is creative. I later joined her group program for additional support in getting to the root of my seriously dysfunctional relationship with money with mindfulness and care - this part of her services isn't about the cash or the numbers, it is about you. She shines here as well and I cannot speak highly enough. 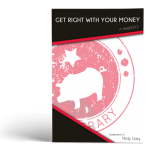 Mindy can support you to learn about and grow yourself, your finances, or your business." A Fine Soft Morn, Inc.
"In under an hour, Mindy gave me one BRILLIANT idea for my business that was a game changer. I am on the brink of a waiting list and I feel way more confident about the way I am offering my work." "Mindy is my voice of reason. Whenever I feel like I have a hard decision to make, I can count on Mindy to give it to me straight. She also is the person who, when I feel like jumping off a bridge, calms me down and gets me back to happy. My wife says, "I don't know what you and Mindy talk about, but keep doing it." It’s the best money I spend because one hour with Mindy gets me grounded, focused and moving in the right direction!" "I really can’t say enough about Mindy’s knowledge, support and direction as a business coach — the result of working with her has been more effective and profound, and actionable, than I could have ever expected or imagined. Mindy has the gift of going deep, and wise, and pragmatic — yet, all with humor and levity, and so it is lots of fun to work with her! If you are looking to get really clear and gain new insight, as well as take new action in strategic directions that will have the most impact in your own, specific business with your own unique goals, then Mindy’s your ideal guide. She will get you there!" Ready To Get Right With Your Money? Click Here To Get Your Free Manifesto Now!